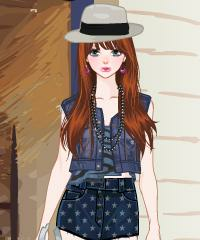 Cool dress up game from dressupgames. Check out the layering possibilites in this game. Very trendy clothes and accessories, even a little vintage feeling if you choose that kind of clothes.